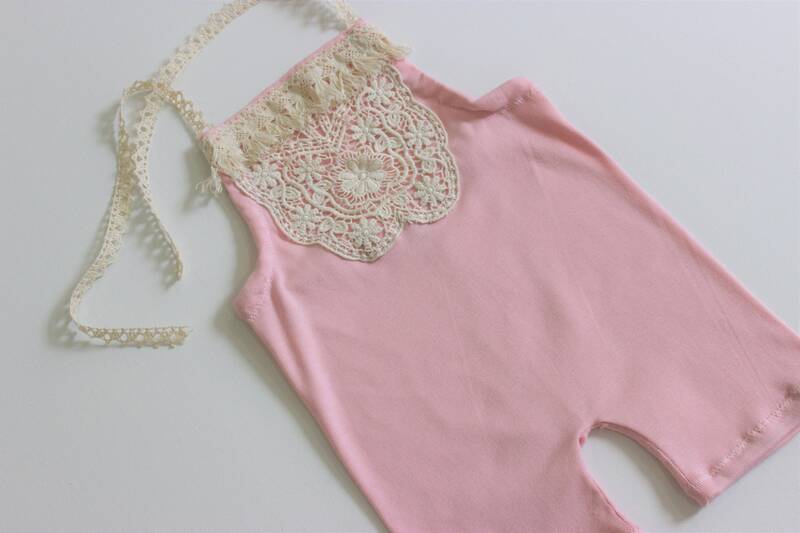 This sweet romper is a halter and is adorned with an ivory applique. There is also fringe along the top of the romper. This knit fabric has a high stretch & you can adjust the straps & waist length. This is great when trying to accommodate multiple sizes. Looking fabulous and being safe! A halter requires being tied in the back of your baby's neck. When tying please don't knot or make the halter strap too tight. 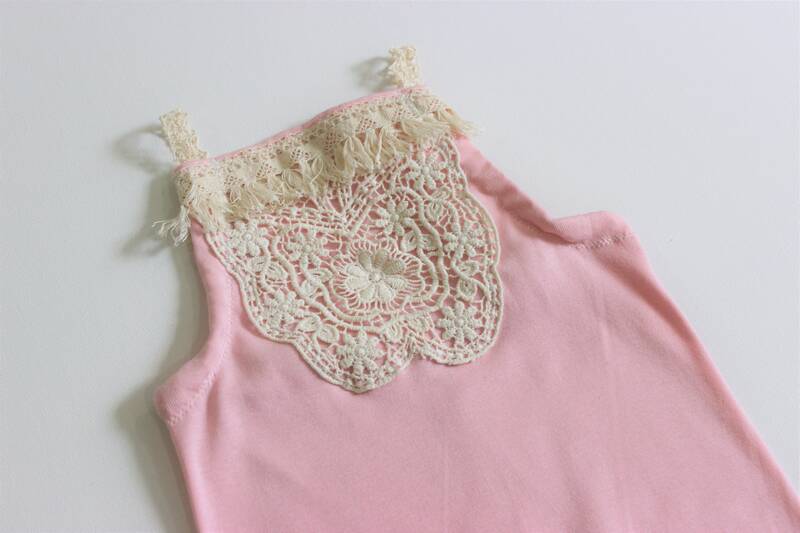 Also, it is best for babies not to sleep in halter tied baby rompers. Note this romper is only meant to be used for short periods of time. 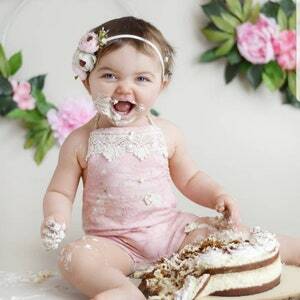 IE: cake smashes, photoshoots. Not meant for everyday use.